Let’s break bread together for a cause! 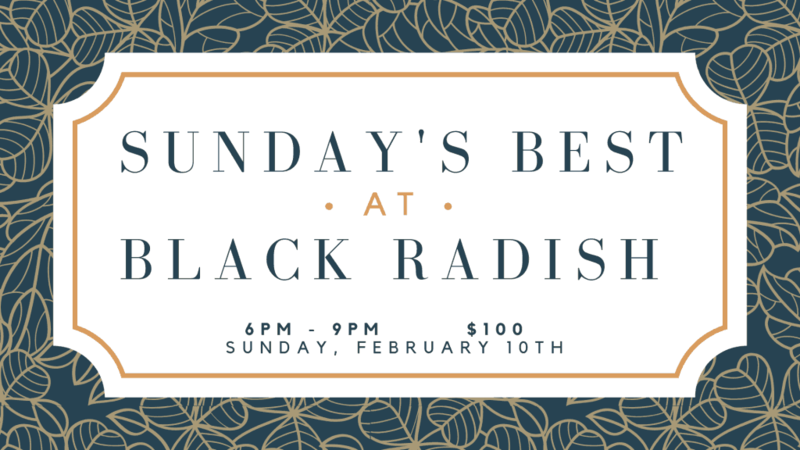 Please join Pittsburgh Emergency Medicine Foundation for Sunday’s Best BIG TABLE at Black Radish Kitchen on February 10th from 6pm – 9pm. This three-course dinner includes wines from Dreadnought Wines and 100% of the proceeds from the dinner go directly to PEMF. This BIG TABLE event produced by Kate Romane Productions is limited to 48 seats only. The price for this dinner is $100 and includes all food and wine. cauliflower gratin. thyme. roasted tomatoes. kale. romaine. caper vin. etrusco. radish.